It is called the 9/11 Living Memorial Plaza. 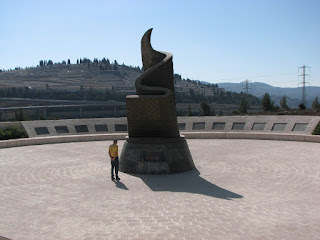 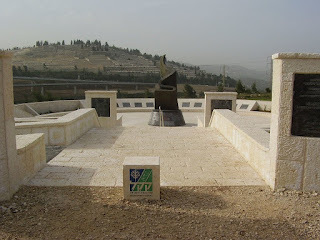 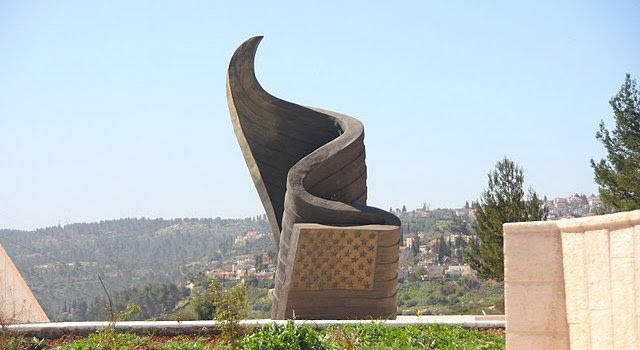 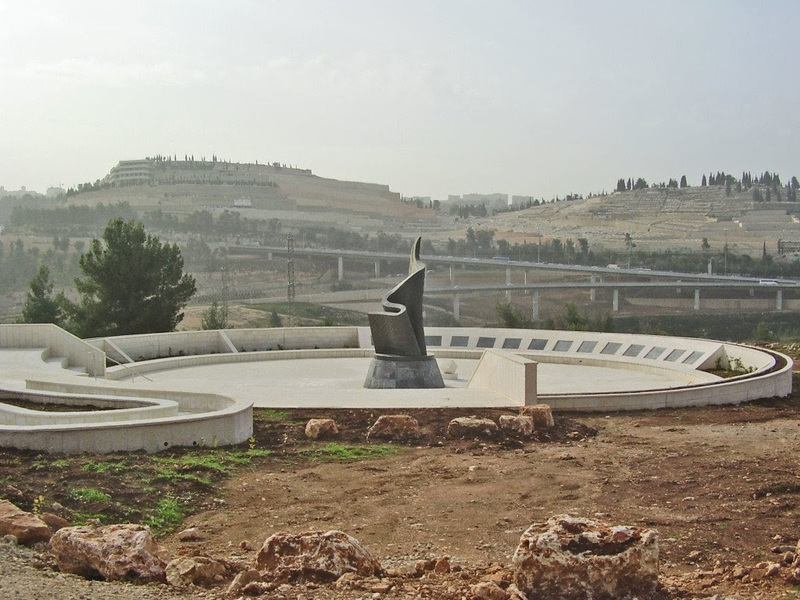 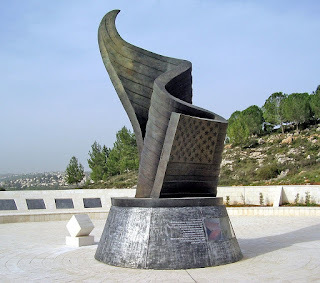 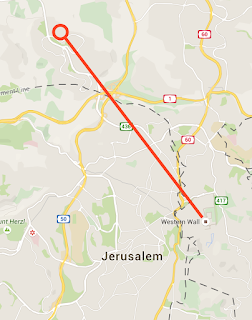 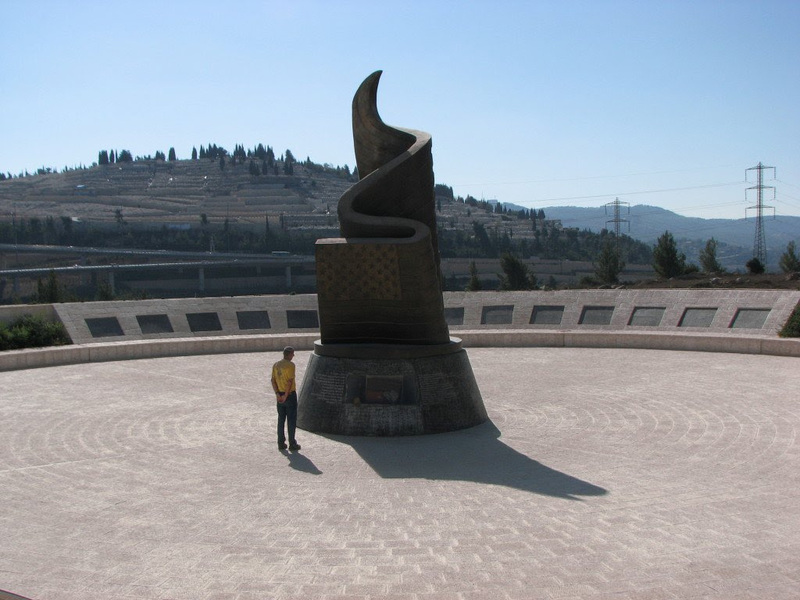 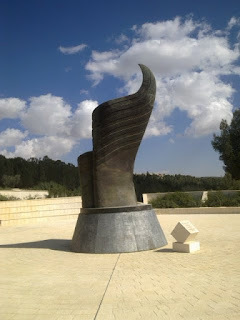 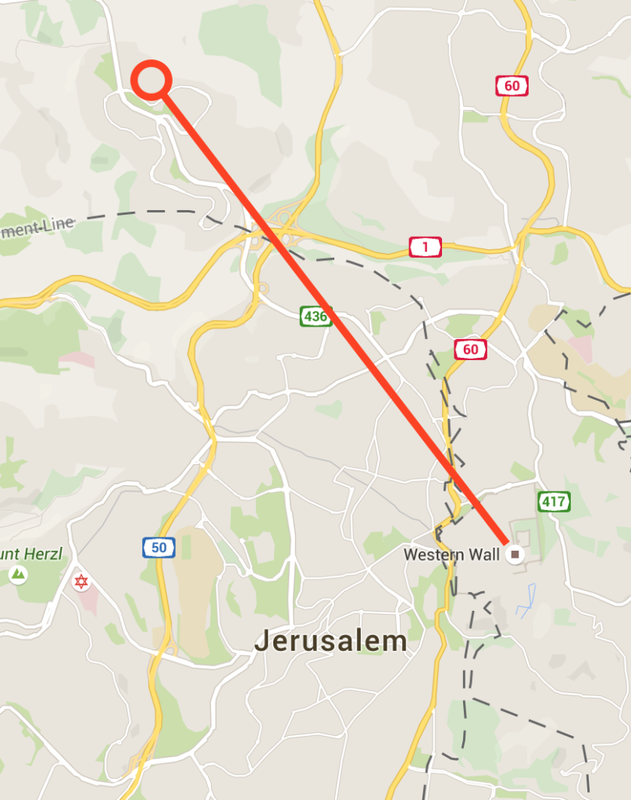 Completed in 2009 for $2 million, it sits on 5 acres of hillside, 20 miles from the center of Jerusalem. 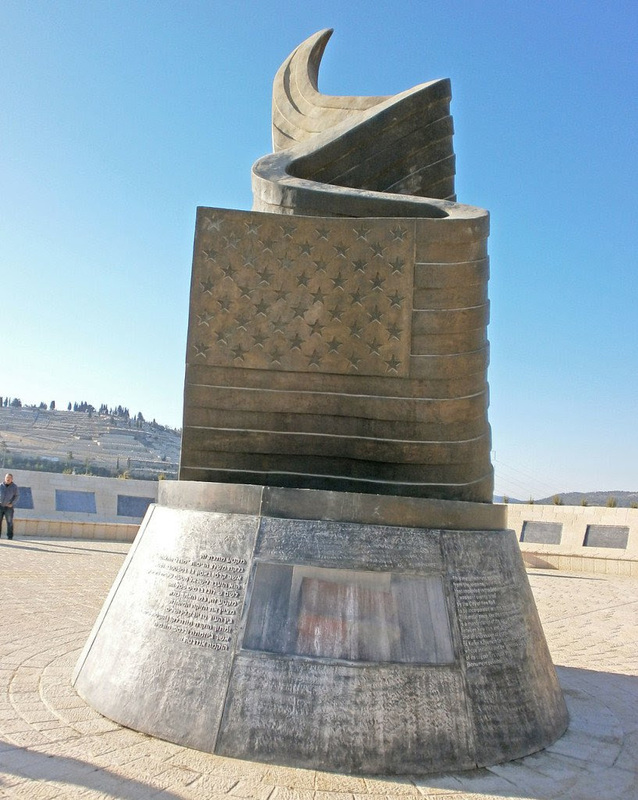 The memorial is a 30-foot, bronze American flag. 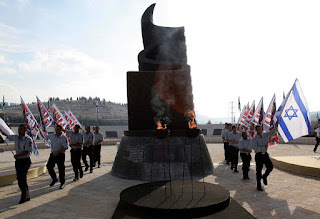 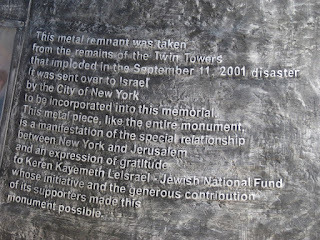 That forms the shape of a flame to commemorate the flames of the Twin Towers. 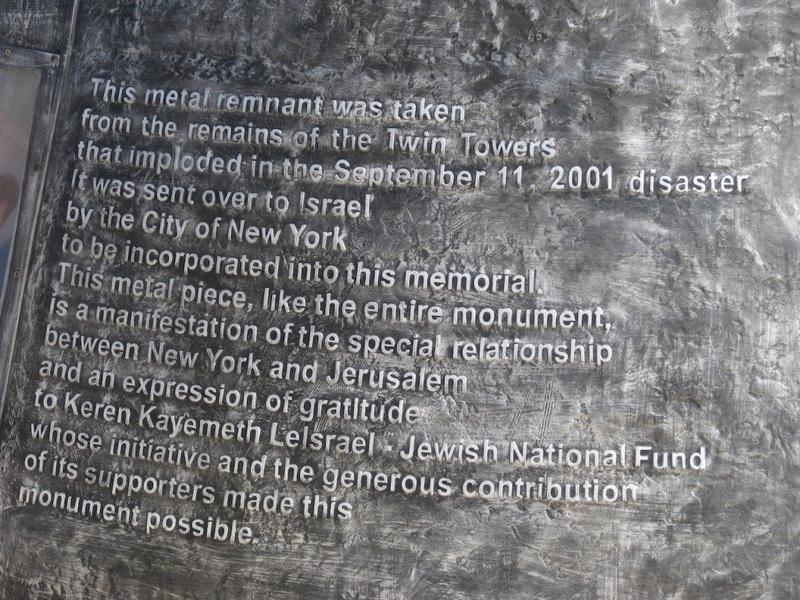 The base of the monument is made of melted steel from the wreckage of the World Trade Center. 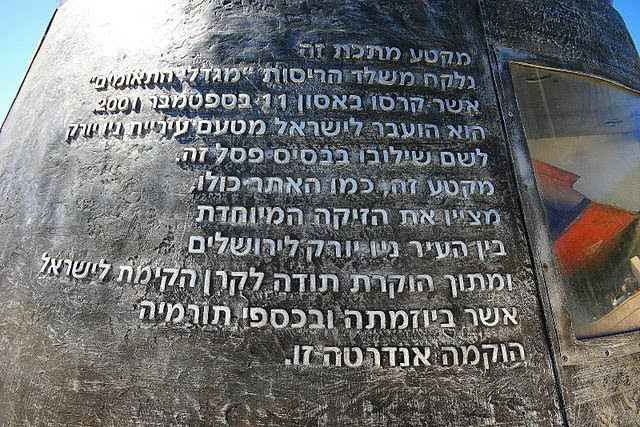 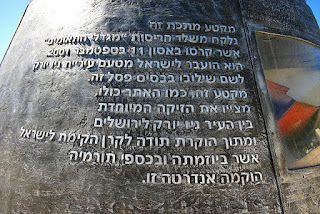 And includes this engraving in Hebrew and English. 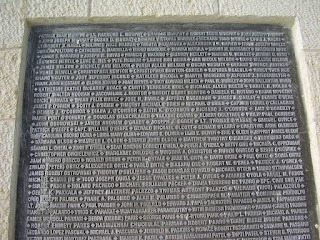 Surrounding the monument are plaques with the names of the victims of 9/11. 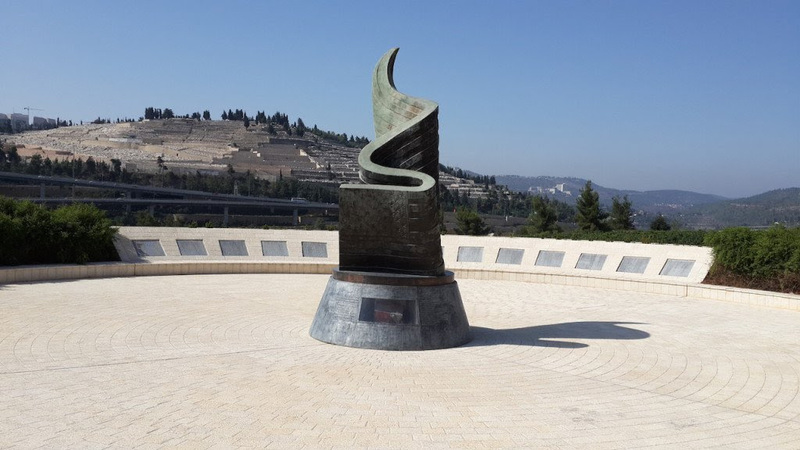 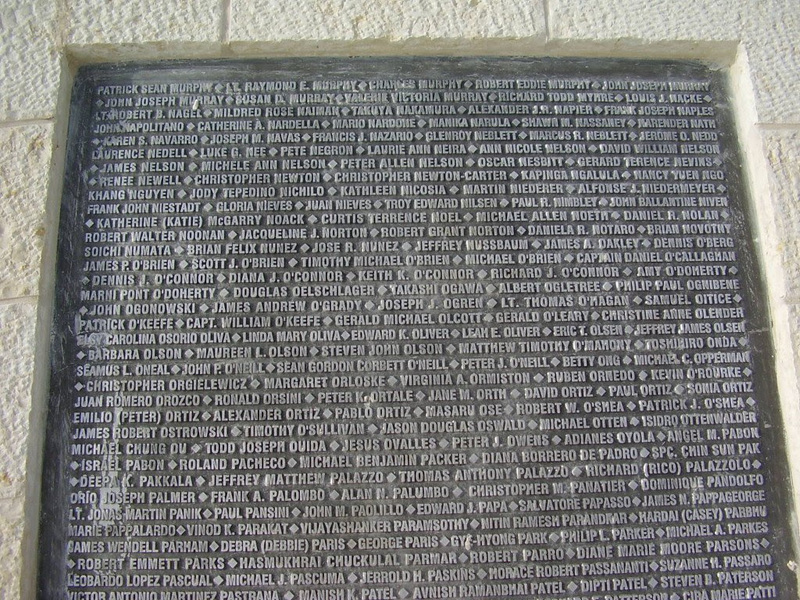 It is the only memorial outside the U.S. that includes the names of all who perished in the terrorist attacks. The site solemnly overlooks Jerusalem’s largest cemetery, Har HaMenuchot. 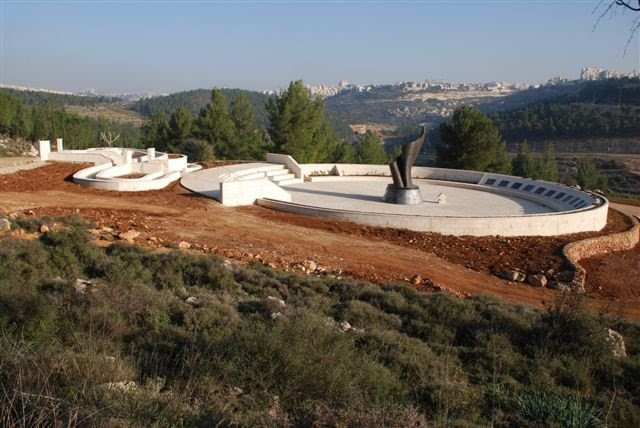 The monument is often used for memorial and commemoration services. 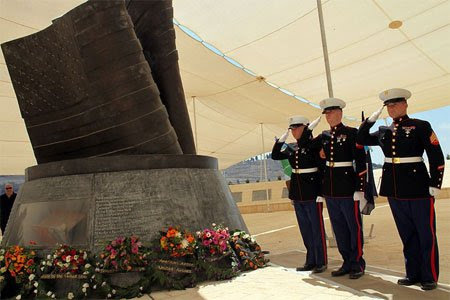 A powerful memorial from a powerful ally.